Wichita Falls Police responded to a call Tuesday night for a possible drowning after a group of children playing near a drainage tunnel had been swept away by the rising rain water. 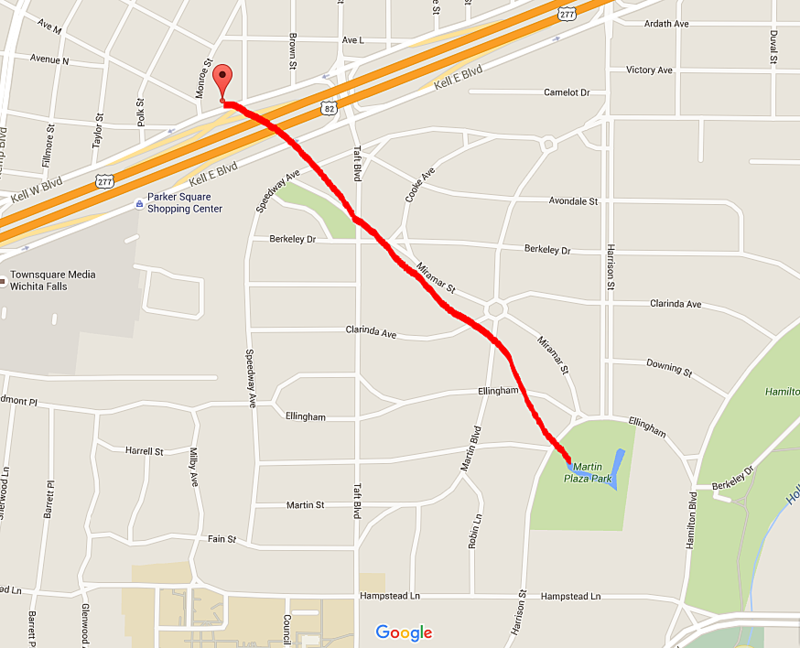 The tunnel, known today as Pinky's Cave, is actually a three-mile long drainage ditch that runs through Wichita Falls starting at Monroe St. & Kell Blvd. and emptying into the Martin Plaza Park pond near Harrison St. and Ellingham. Luckily, when police showed up near Martin Plaza Pond they saw four juveniles walking in the area. The kids told the police that they had been playing near Pinky's Cave and had ended up taking an unplanned ride through the drainage system. According to the WFPD, the four kids had been flushed through the entire length of the drainage system. When found, they were wet, disheveled, and had some minor scrapes. Fortunately, none of them had any serious injuries. The Wichita Falls Police want to remind citizens that the Pinky's Cave area and drainage tunnels are not a place to play. EDITOR'S NOTE: While the drainage system at Monroe & Kell may be known as Pinky's Cave to some younger people in Wichita Falls, the older folks in town will tell you that the original Pinky's Cave runs between Ardath street & Kell. Learn more about the hauntings of Pinky's Cave here.